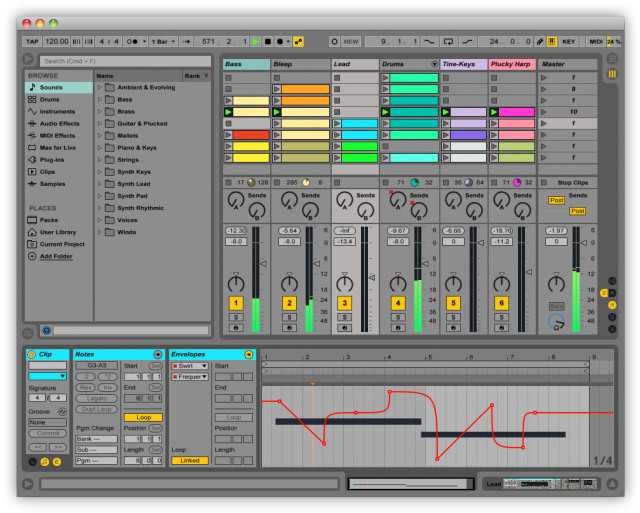 Live 9 Suite, General Sequencer from Ableton in the Live 9 series. Product replaced by the Ableton Live 10 Suite. The final 9.1 version of Live, which was in Beta since September, is now available for download. The first update of Live 9 is now online. It allows users to open two windows simultaneously on one or two monitors, melodically step sequence by manually entering notes or playing them with the Push pads, and adds new rendering algorithm that improves down-sampled exported audio (from 96 to 44.1kHz for example). 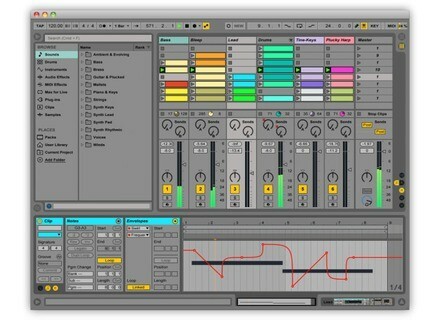 The update is free for user of Live 9, it can be downloaded from www.ableton.com. The Top Virtual Rhodes A real legend among electric pianos, the Rhodes has never stopped inspiring software developers and sample publishers. These 16 instruments are proof of that. 8DIO launches the Zeus Drum Challenge 8DIO invites drummers to participate in the Zeus Challenge and win the next Zeus mega drum library for Kontakt. iC Air brings gesture control to Cubase 7 Steinberg offers Cubase 7 users equipped with a gesture detection system the iC Air app for free.